I am happy to say that I got one of the biggest “To-Do’s” off of my list. Can you guess what I bought? I hope so since the title of the post practically gave it away! I have been running for a little over 6 months now, have a 5K under my belt and am signed up for two more, one of them this weekend! 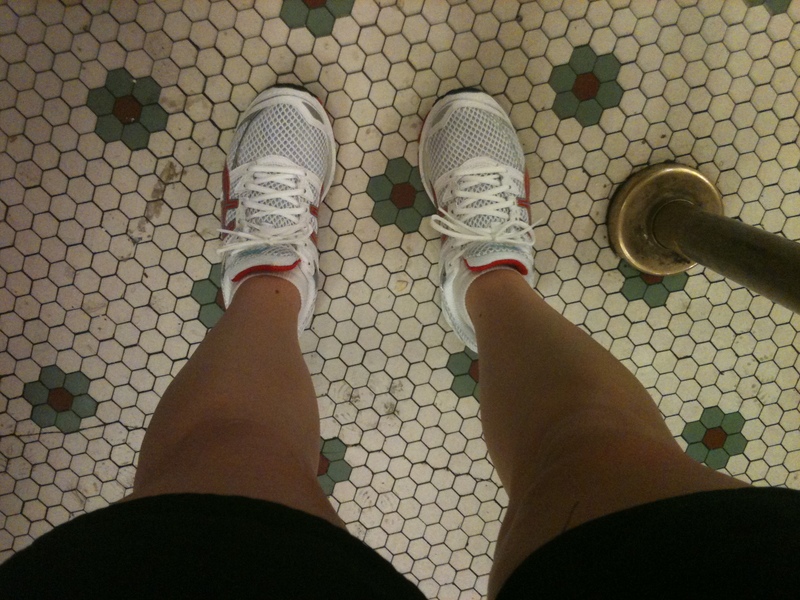 But I was running in the crappiest sneakers known to man. Seriously, I’m pretty sure I bought them during my junior year of college. 3 years ago. Not acceptable by any means. Yikes. Those pink Champs were so far gone. 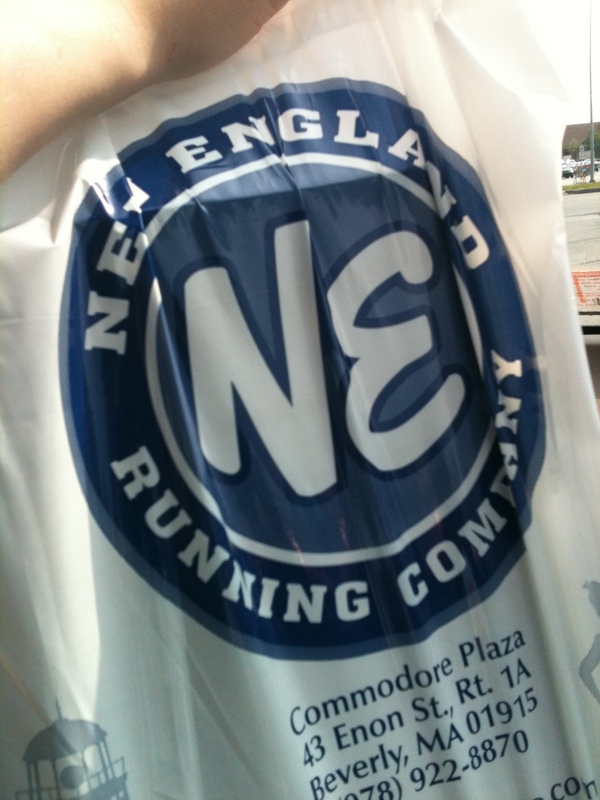 So last weekend, I dragged my mom to the New England Running Company in Beverly, practically jumping up and down at the thought of finally getting legitimate running sneaks. When I walked in, I was completely overwhelmed (in a good way) by all of the gear in the store. I’ll admit it – I felt cool. I felt like a runner who needs new sneakers in order to run correctly and safely and power through those races with a smile on my face. So many sneakers, so little time.. The saleswoman was incredible. She had me walk back and forth through the store so she could see how I carry myself. When I first got there, I for sure thought I wanted Nike Frees because I’ve heard some good things about them. She told me that being a new runner and for working up to longer distances, that type of shoe wasn’t the way to go. She had me try on a couple different types but the first pair I tried, the Asics Gel Cumulus, were the perfect match. Seriously, it’s like running on a cloud in these things. So where does that leave me? I’m sorry to say that my 10K training has been postponed. I want to concentrate on the few 5Ks I have coming up without the added pressure to have to run more than the 3.1 miles. And to be honest, I’m scared. Somewhere between the accident and now, I’ve put up a mental roadblock. Even running the 3 miles is daunting at times and I can’t imagine myself going further than that. Luckily, I did not end up registering right away for the 10K so no money lost but I am bummed. It’s still on my running bucket list for sure, along with even longer races, but for now, 5Ks are my thing. I want to know… How do you get over mental roadblocks when it comes to running? Have you ever hit one? How do you just get through the toughest long runs without wanting to quit? 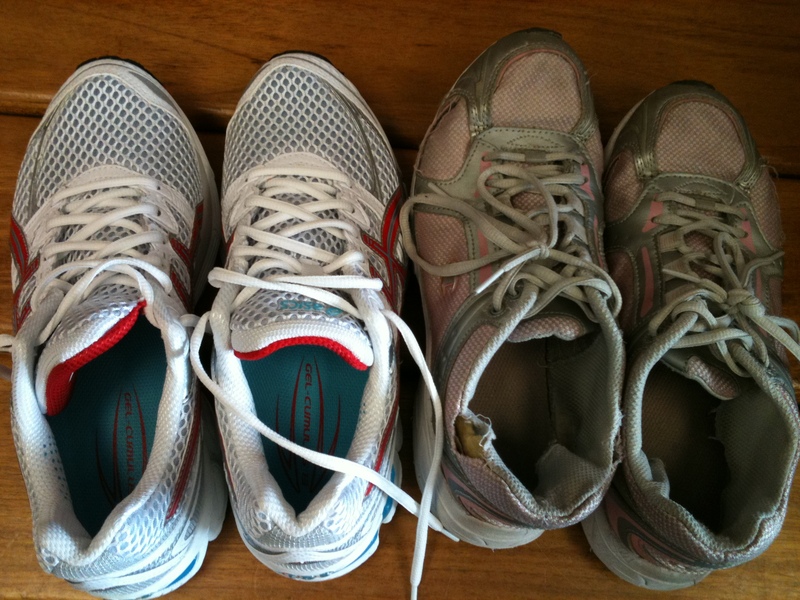 Oh – and what are your favorite running sneaks? #1 – I am so so so glad you’re okay. ok…now my response. mental road blocks can be the worst. I developed tendonitis after my first half, and was terrified of the thought of pushing myself to a stress fracture and missing out on all things related to foot mobility…so I stopped running for MONTHS. In the end, I just decided that for me, it isn’t about the time it takes – it’s about getting there. I worked my way back up to travelling long distances (and found some insoles that made me feel safe/comfortable/supported). I pulled off an 11-miler this weekend, and I am stoked for my half on the 2nd. Just keep swimming – you’ll be crossing off those bucket list races in no time. And for shoes? I have Reebok RealFlex that I use for shorter distances, and Saucony (mumbles under breath because I don’t know the model) for my longer runs. I hear Mizuno are worth trying out too! An 11-miler!! I live for the day I can say that! It’s AMAZING! You just have to go for it. Whatever distance you set yourself, you will find it challenging because you will have paced yourself for it. If I do a three mile run now, it is just as hard as a six mile run because my brain has got itself ready for that distance. I know I’m going to be done after how ever many miles, and so that’s all I’m prepared to do. I also sometimes tell myself I can stop whenever I like, if it’s a longer run and I’m a bit scared. I’ll think “Ok, you’re meant to be running x miles today, but if you want to stop after y miles that it totally fine”. It really helps, and then when you get to the y mile goal you can re-evaluate how you feel and give yourself another get-to point! I hope this isn’t rambling rubbish! Not rubbish at all! I think those are great suggestions!! Thanks so much! My new favorite place for sure. AND its in the same plaza as the hot yoga studio I go to. We call that a WIN WIN. I’m probably not the one to give advice on this issue seeing as I hit a wall 2 yrs ago and haven’t gotten back running yet! That being said when I first started running about five years ago I found any time I got overwhelmed, intimidated, or hitting the proverbial ‘wall’ three things worked for me. 1- find friends to run with- either current friends or find running buddies by going online. Having someone to run with, who is at or around my pace, made me more likely to stick with it. 2- I would at least tell myself to go for a walk. Usually I’d start out walking and by the end of the block I’d already start running. Taking that pressure off made all the difference! 3- lastly if I just couldn’t dredge up the motivation for a run luckily I still love being active, so I’d workout some other way like spinning, bootcamp, or boxing, etc. I found taking that break was healthy and besides cross-training is key! After a year of regularly running three miles I started training for a half marathon and completed it months later. Now with all that being said and all this talk of running ( plus some brand new sneakers ) I think I’ll take my own advice and go for a ‘walk’ this weekend! HOW WERE YOU RUNNING WITH THOSE SHOES!??! lol….you should be able to handle a 10k no problem with those new babies 🙂 Hang in there, you will be back on track in no time. Katie, seriously, they were AWFUL! I never realized how important good sneaks were until I laced those up! I think it is great you decided to do a few more 5ks first. By the time you are done with them, your head and body will be ready for the next big challenge of the 10k!